Made entirely in Paint.Net. 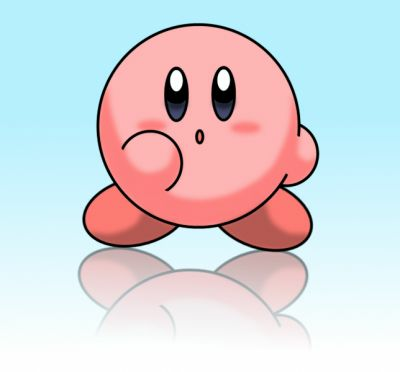 I didn't feel like taking the time to draw Kirby on paper and scanning it, so I just used the circle tool. This was drawn really just to practice colors and shading. Oi! Very nice and clean Paint.Net work there! If my experience is any indication, clean looking P.N art is not easy. I assume you used a mix of line tool and gaussian blur for the shading? Or did you use something else? Yup, that's exactly right. Although I think it couldv'e used a little more gaussian blur for the shading. Is Paint.Net free ? I might want it some time! Paint.Net if free yeah, and a LOT easier to use than GIMP, albeit more limited... And back on topic, I think the amount of blur is fine. It's like it's cell shaded.